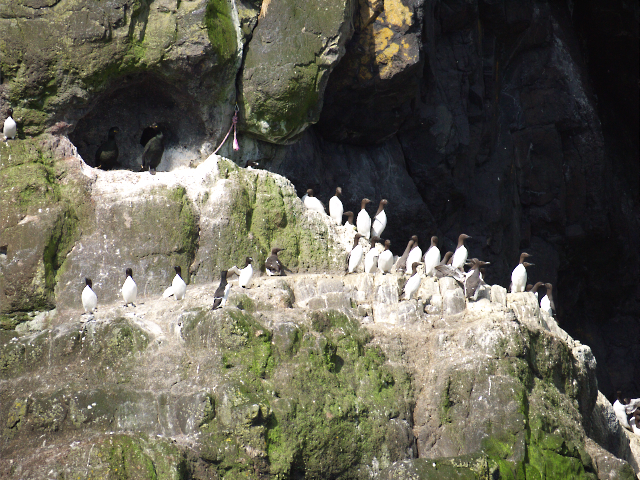 Guillemots on the cliffs at The Gobbins, Islandmagee. The Bangor Boat made an extra trip to the Gobbins on Sunday 30 May 2010. The departure from Bangor was at 08.30 – perfect to catch the early morning sun shining on the east-facing cliffs. © Copyright Rossographer and licensed for reuse under this Creative Commons Licence. This page has been viewed about 211 times. Click link above to signal that you like this image.